For Time to Talk Day 2017 I have decided to write about two common problems. They are not unrelated. If you are troubled by anxiety with or without panic attacks, I hope you will find something useful here. People, who are happy-go-lucky and sail through life as if they hadn’t a care in the world, do not understand what it is like for people who think too much. If you are one of those lucky ones, please read on! Some people worry about everything. They just don’t seem to be able to help it. It has become a habit. It can become debilitating, especially if it leads to panic attacks. Let me give you an example of a worry and how to stop it developing. The worrier knows where a friend or family member is travelling and has given them some advice. The time for them to arrive at their destination has past and they have not posted anything on social media to say they have arrived. The person travelling has not been on this route before, but the worrier has. The worrier is aware of all the dangers along the way. Risk assessment has become a fashionable exercise. People have had serious accidents on that route. Some have even died. Although the worrier has not asked the traveller to let them know they are safe, it is second-nature to become anxious. An escape mechanism is needed. In this case, the worrier can be reassured by choosing a different thought pattern. The person is an adult with experience of making journeys in new places. They do not post on social media every day. The worrier is not responsible for the behaviour and safety of the other person. Contacting them would be an unnecessary nuisance to the other person and would make the worrier look foolish. It is possible to set this worry on one side and have a good night’s sleep. The alternative of allowing the worry to take over and possibly result in a panic attack is best avoided. Some panic attacks are due to allowing worries to escalate. Others may come for no obvious reason. Panic attacks come in different forms. One common form is hyper-ventilating, where the breathing is affected. However, like frightened animals, humans may find that other bodily functions are affected. They may have the runs, for example. Or, like a rabbit frozen in the headlights of an on-coming vehicle, they may be unable to act. Or they may become hot and bothered for no apparent reason. Like anxiety, panic attacks may be averted. For example, a thought comes to a sufferer: they may have forgotten to switch something off. They are in a situation, where they cannot immediately go and check or ask someone else to. They can dismiss the thought before it worries them sick, bringing on a panic attack. These coping strategies need practice. First the worrier has to recognise that they are worrying. Then they have to decide whether they need to do anything about the worry or whether it is not their responsibility. If action helps, fine. If not, perhaps they can set their own mind at rest, as in the first example above. If not, doing something to take one’s mind off the worry may help. At night silently praying or reciting poetry may help. (If anxiety affects one’s sleep, worrying about not sleeping does more harm than good.) In the daytime, distracting activities need to occupy the mind, such as writing, doing puzzles, or physical activities, requiring concentration. Getting enough rest can also help to avert worrying, but there are times, when it is necessary to keep going in spite of tiredness. Talking to a sympathetic person can be helpful. However, many people do not understand. Medical help is available for anxiety. I have resorted to it in the past, but I prefer to use the methods outlined above. The word I have chosen for this year is Trust. If I really trust God I have no need to become anxious. I have no formal expertise in this subject. However, I have lived long enough to have encountered mental illness and to have formed some opinions about it. The statistics for people becoming mentally ill indicate that any one of us (or our families and friends) is likely to suffer at some time. There are many different forms of mental illness. Unlike specific physical illnesses, which usually lead to the same symptoms in many sufferers, a named mental illness may appear differently in individuals. The emphasis this week is on mindfulness. I’d like to throw in a few more suggestions for recovery from mental illness, which is often stress-related. Sometimes it can be useful to do something creative, which keeps one’s hands occupied. Knitting, crochet, art, colouring, rug-making, puzzles of various kinds, embroidery and basket-making are examples. Not everyone will be helped by the same activity. Basket-making is rather an iconic form of therapy in this context. I once heard that people were only discharged from old-fashioned mental hospitals, when they had succeeded in making a basket. There is an expression used to describe someone, who may be mentally ill: a basket case. The derivation is obvious. Basket-making requires a certain amount of patience, dexterity, the ability to follow a pattern and strength. It is not something that everyone is able to do, however well they may be. As I understand it, mindfulness involves being in the present moment. Anxiety and other stress-related conditions may respond to this. Mindfulness seems to be helpful. What I’d like to say is that prayer and trust in God are even better. I am not saying that those with faith in God are immune to mental illness. We are not. Many suffer at various times from depression, anxiety, panic attacks and long term mental health problems. Neither am I saying that people with mental health problems are to blame for their condition. Many people with these problems are also lonely, partly because of the stigma associated with having a mental illness. There are many blogs and other articles online about mental illness. 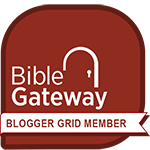 Some are attached to “official” websites such as the one I linked above and Time to change. Some are by individuals experiencing problems in their lives, which they are brave enough to share with others for mutual support. In my view some of the stigma arises out of fear of the unknown. The media highlight cases where a tragedy has arisen due to the mental instability of an individual. There are many forms of mental illness, which do not result in these sorts of tragedies. It could be argued that with more understanding and acceptance, more people might be helped and suicides, murders and other tragedies prevented. There are courses in first aid and in resuscitation, for example. Perhaps it is time that the public should be educated about the causes, symptoms and treatment of mental illness. The health service seems to be stretched to its limit. Of course it is important to know when to seek professional help, but with better understanding and support from family and friends, escalation of a mental health problem to critical might be avoided. I am publishing this post towards the end of Mental Health Awareness week. At the beginning of the week I found this site, where Christianity and mindfulness are connected. I also found this post about writing,which gives useful insights. This one is a blogger’s personal account of dealing with a diagnosis. Have you found mindfulness helpful? What do you think about the early signs of mental health issues? 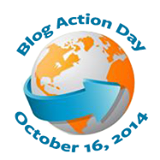 Bloggers from over 111 countries are taking part in Blog Action Day 2014. The theme for Blog Action Day (October 16) this year is Inequality. There are many inequalities, which simply have to be accepted. Inequalities of height, strength, natural ability and so on are outside human control. There are other inequalities, which can be lessened through education and action. One such inequality is the difference in attitude world-wide to people suffering from mental illnesses or disabilities compared with those enduring physical illnesses or disabilities. Physical problems are mostly visible (although deafness is not). Mental health problems are not immediately obvious. This difference may be part of the reason for the difference in attitudes, both from people in general and from healthcare providers, to patients suffering from mental ill-health compared with those suffering from physical problems. The association of mental health problems with madness/craziness does not help. While some mentally ill people may do crazy and even violent or dangerous things, the majority do not. Earlier this year Manchester Airport, UK was brought to a standstill by a passenger on an international flight, who was considered to pose a risk to that flight. The following day it was announced that he had been sectioned under the Mental Health Act. While it is more than likely that this was the correct action, this sort of publicity does nothing to help the majority of mentally ill people, who are no threat to anyone. There is very little publicity for ordinary people, who suddenly find that they are unable to do everyday tasks due to such conditions as depression, bipolar disorder or schizophrenia. Other mental health problems include obsessive compulsive disorder and all kinds of phobias, panic attacks, eating disorders and addictions to various substances. Even in countries in North America and Europe sufferers from these conditions tend to be neglected in favour of those with physical problems, where the treatment and length of time to recover are more predictable. From what I have read, in many other parts of the world the stigma associated with mental illness makes life far worse for sufferers. Mental health and emotional problems affect different people in different ways. The available treatments include talking therapies and drugs. It is often easier to prescribe a drug and leave the patient to administer it (perhaps by taking tablets for months or years) than to find the resources for the talking therapies, which may help to address the cause of the problem or investigate coping strategies and help the patient lead a normal life. Treating the symptoms, without dealing with the underlying problem is like wallpapering over the cracks. Some treatments are not proven to be effective and have irreversible results. One such treatment is electroconvulsive therapy (ECT) – also known as electric shock treatment. This is used to treat patients with depression, who may not be in a fit state to know what they are consenting to. I wonder how many of the people prescribing it would agree to having it themselves or for their nearest and dearest. There is a campaign to have it banned. It is very important to treat people rather than symptoms. When families are unable to manage a mentally-ill person at home, the person may be admitted to hospital. For anyone finding themselves in a psychiatric ward for the first time, this may be frightening and confusing. One problem is that they might believe that as they are diagnosed as crazy, they have no hope of living outside hospital again. This will only make their illness worse. It is important that everyone is taught about mental health issues and how to treat people affected by them. Everyone should know that people who have suffered mental illness can lead “normal” productive lives. There is a great deal of misunderstanding about mental illness. In the UK the Time to Change campaign is doing a wonderful job raising awareness of the issues. Sufferers of mental ill-health and the general public are being encouraged to talk about these issues. Greater understanding should lead to earlier support before the illness would cause admission to hospital. People are also being encouraged not to ignore their friends at times of mental infirmity. It may not be much fun to be in the company of a depressed friend, but your friendship would mean a lot. There is also a campaign to make mental health a core subject in the National Curriculum in the United Kingdom. Children and young people may be affected by mental illness and it is important that everybody is taught to look for the signs and to give support where it is needed. People with physical disabilities campaigned years ago. They used the slogan, “Does he take sugar?” to remind people that most disabled people can answer for themselves. An artist, who decided to explain about her bipolar disorder through art, was featured by the BBC. It’s Time to Change and It’s Time to Talk are the phrases being used for the mental health awareness scheme in the UK. Are you ready to talk? Then we can bring about change for the better. 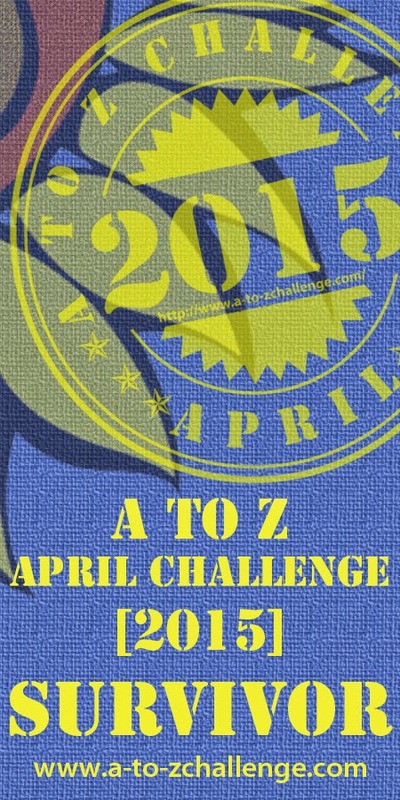 Linking with the WordPress Daily Prompt.